Jeddah – Moqtada al-Sadr, the leader of Iraq’s Sadrist movement, underlined the importance to integrate government forces with the fighters of the Popular Mobilization Forces under the leadership of the prime minister and the commander of the armed forces, pointing out that he refuses to have two armies in the country. “The presence of the Popular Mobilization Forces outside the state is causing many problems,” he said in an interview with Asharq Al-Awsat. The Iraqi official warned against the separation of Kurdistan, noting that he urged the region’s leaders to postpone the independence referendum, which will be held on September 25. “We consider the Kurds as a component of the Iraqi people; however, problems accumulated by the previous governments have led them to call for independence,” he said, adding that Kurdistan’s separation from Iraq would “bring problems from inside and outside” the borders. 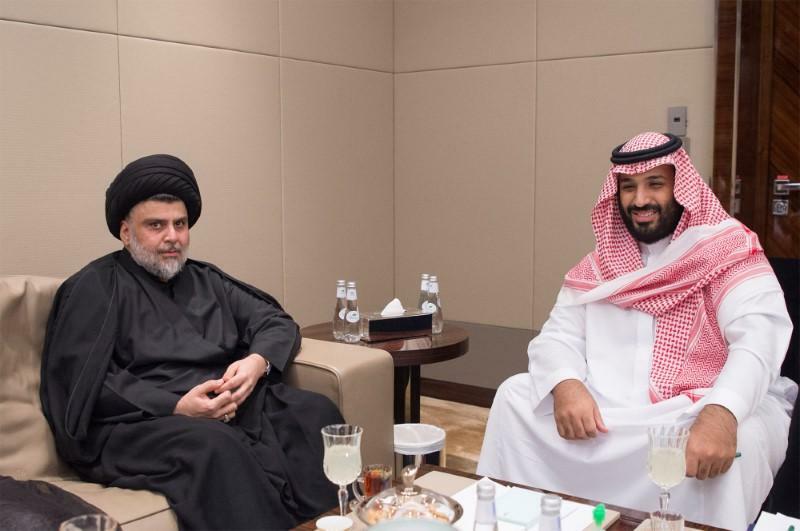 On the relations with Saudi Arabia, Sadr highlighted convergent views during his meeting with the Vice Custodian of the Two Holy Mosques Prince Mohammed Salman bin Abdulaziz in Jeddah last month. “We discussed with the Vice Custodian of the Two Holy Mosques several issues, mainly Iraq, as well as developments in the region, including Yemen, Bahrain, Syria, Jerusalem, the Iranian-Saudi relations, and Baghdad’s relations with Riyadh. We have reached similar visions,” he stated. “Prince Mohammed bin Salman was very frank with us during the meeting, as we were with him,” the Iraqi leader added. He stressed Iraq’s keenness to improve relations with Riyadh during the current period, noting that in the past 10 years, there was a certain sensitivity that should be removed and that “tension is gradually being alleviated”. Commenting on the latest string of terrorist attacks against Saudi Arabia, Sadr stated that the Kingdom has terribly suffered from terrorism and extremism, “like all the countries of the world.” He called for unifying international efforts to end extremist and terrorist ideology. On Syria, the Iraqi leader called for the withdrawal of all armed forces from Syria. He noted that the departure of Bashar al-Assad would pave the way for peace in the country. “The truth is that more than a month ago, I demanded that Assad step down for the sake of Syria, which is suffering from atrocities, destruction, war and terrorism,” Sadr said. “If [Assad] steps down, there will be a breakthrough, and certainly greater peace,” he added.